Well, would you look at that! 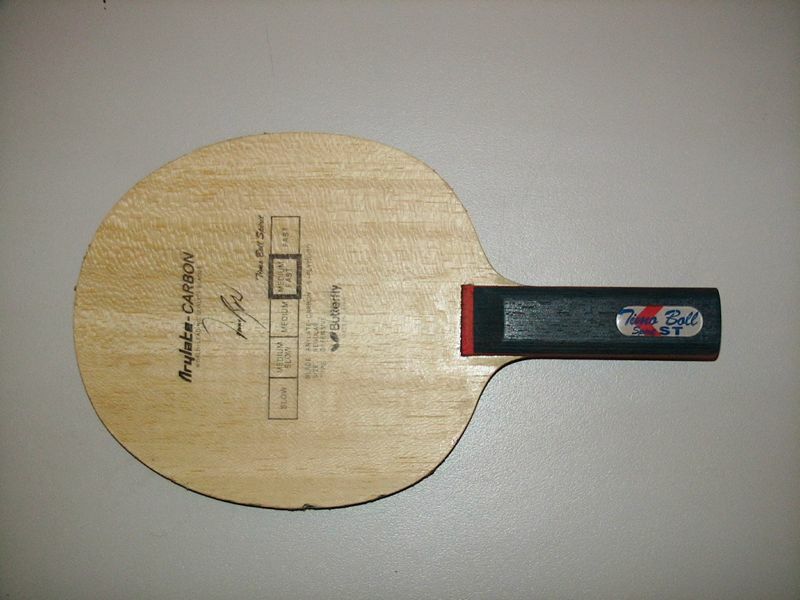 Maybe he DOES actually use a Timo Boll Spirit blade! HeyZ! You have a great site with the most detailed and correct information I’ve ever seen in an article!! Keep it Coming. I’d just like you to post an extremely detailed article on the blade ‘BTY Timo Boll Spirit’. I believe this is your favourite blade… and it will soon be mine! An extremely detailed article, huh? I’m not sure how much I can write about a blade (even the one I’m currently using! ), but I’ll give it a shot. The comparison of handles I’ll deal with in another article later on. Weight, size, thickness etc. I’ve never really been into these things all that much, and I’m too old to start now – but for those of you who enjoy the finer details, here are the stats taken from the Butterfly website. There are a couple of interesting things to note from the stats. 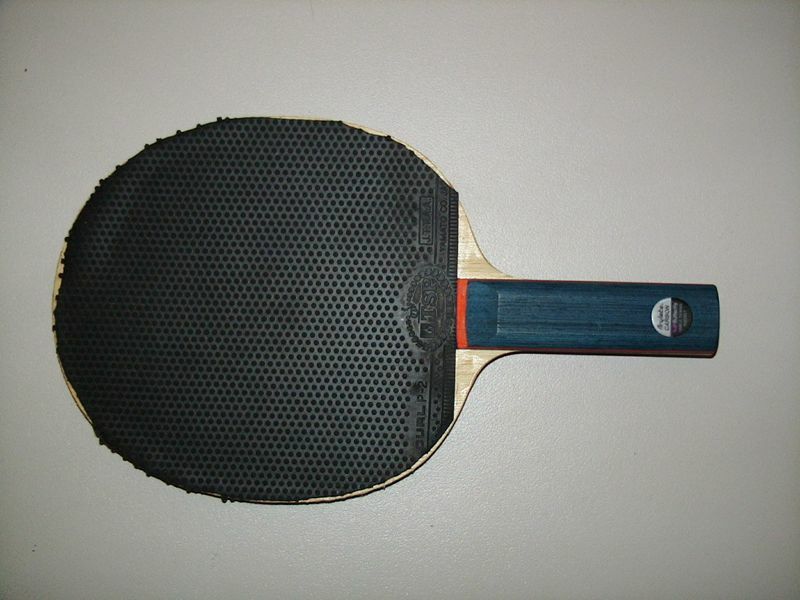 One is that the Timo Boll Spirit only comes in Flared and Straight handle types (the straight can be hard to get hold of in Australia, or at least it was when I bought mine). Another is the Arylate/Carbon layers, mixed in with the wood layers. This is supposed to give it good speed with excellent control and less vibration. OK, But how does it play? 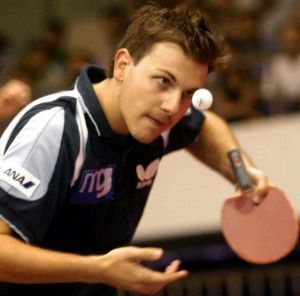 Not being a blade nut, I’m going to find it difficult to compare the Timo Boll Spirit to other blades out there in terms of speed or spin, control etc. So I’ll leave that to anyone else who would like to send me their comments, and I’ll add their experiences to the Comments section below. Instead, I’ll talk about how I find it in play. 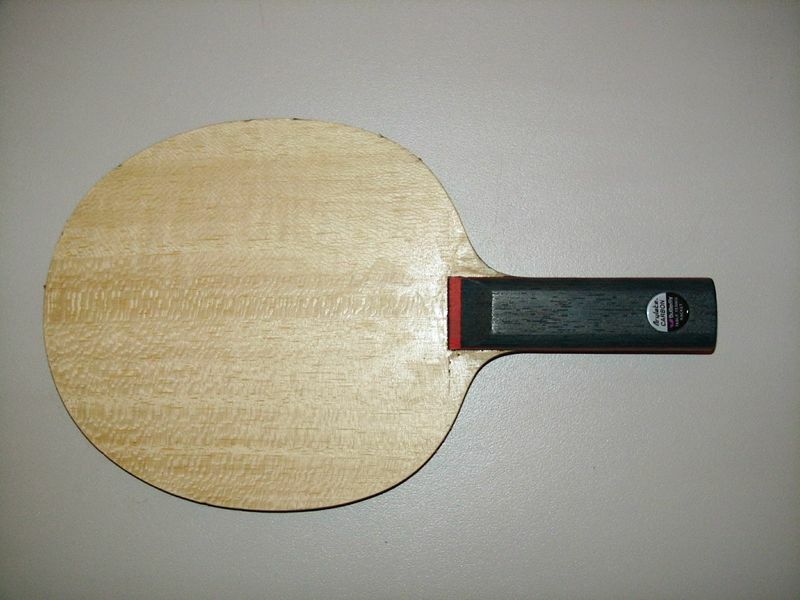 I currently use this blade to play a combination bat style of attack and defence – see my Resume Page for videos of what my style is like. I’ve also used the blade to play a speed-glued two-winged looping style, so I’ll comment on both. Although I’d hazard a guess that my two-winged loop attack isn’t quite up to Timo’s standard, I still like using this blade with glued up rubbers. I prefer to spin the ball a bit more than the standard looper, with a bit less speed, and the TBS seems to give that extra bit of dwell time, really allowing me to ‘feel’ the ball on the bat and rev up the spin. The control and touch is excellent, even with speed glue on both sides. I had a small problem at first adjusting to smashing with the TBS – I kept hitting off the end of the table. Took about a month or so to get it right. In hindsight, I think the flat smashes may have got me ‘hitting wood’ a bit more, and so the extra speed in the TBS compared to my old blade caused me to hit off the table. Once I had adjusted I had no further problems. In conclusion, I would recommend the Timo Boll Spirit to any aggressive player who wants the option to really put a heavy topspin on the ball, while maintaining good speed and excellent control and feel. At first, this seem to be a strange combination, but using the TBS along with my current setup of Tango Defensive 1.2mm and TSP Curl P-2 1.0mm works very well for me. I like to be able to chop with good control, and use spinny counter-attacks rather than flat smashes. I also like to occasionally hit with my pimples. The TBS caters well to all my requirements. My control with the thinner rubber is very good for such a fast blade, and the extra dwell time helps my spin variation as well. My counter-attacks are fast enough considering I’m not using speed glue, and they are definitely spinny enough. Topspinning with this setup doesn’t feel very different to attacking with a thicker rubber, which is nice as well, and the bit of extra speed doesn’t hurt when hitting with the medium pips either. In conclusion, the Timo Boll Spirit works great for me to mix defence and attack. If you have similar requirements in a blade to me, then it just may work great for you too! 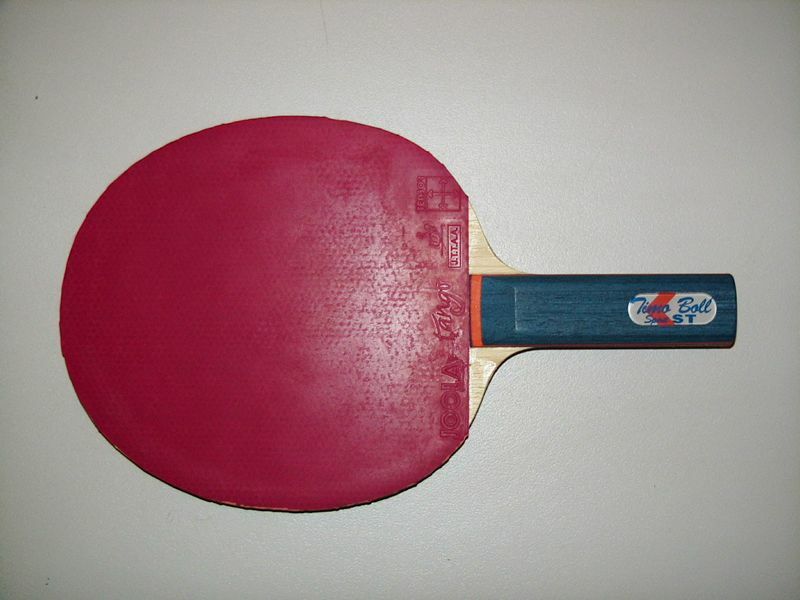 Table Tennis Styles – Where Are They Now?